Jamie was a part of the very fabric of life at Wenonah for 22 years until his passing at the age of 28 in January 2019. At a young age, Jamie was a wide-eyed camper that fell in love with Camp, the outdoors, and the place that became his home away from home. 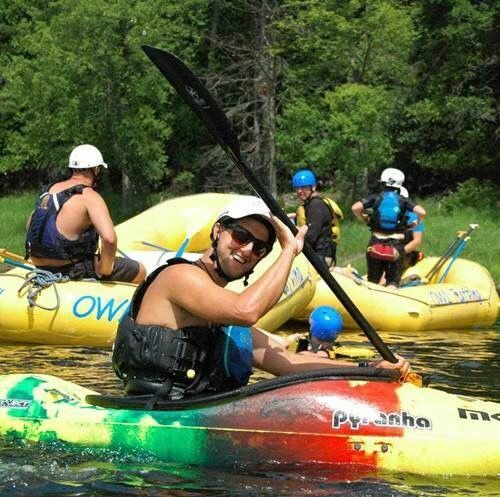 Over the years, Jamie’s love of Camp, and his connection to so many at Wenonah, grew exponentially. Jamie spent ten years as a camper; he was a leadership participant; a Summer staff member (beginning in 2008 with Period Five) and significantly, was an anchor and mainstay with the Outdoor Centre through many Spring and Fall seasons. Jamie was our first ever 10 Year Camper in 2006, and spent a total of nine years as a staff member. In 2017, Jamie received one of our most significant acknowledgments at Wenonah, the Schaefer Scholarship. Jamie’s passion for Camp knew no bounds. One of the things that Jamie was insistent on was that his life and contributions to Camp be remembered. And so they will be, through the establishment of the Jamie Kennedy Scholarship Fund. The Fund is used to fully sponsor several staff members each year to attend provincial canoeing, kayaking, and whitewater kayaking training. Being on the water was a great passion of Jamie’s life, and the Fund is a perfect way to remember Jamie. Significantly, Jamie himself was heavily engaged in the creation of the Fund. Jamie and Jeff spent plenty of time together discussing this initiative; Jamie’s eyes lit up as the idea became a reality. We begin the Fund knowing we had Jamie’s enthusiastic endorsement. Jamie was his happiest being on the water. And the ripples of his life will now extend to countless staff members in the years and decades ahead and, in turn, they will impact hundreds and hundreds of children. A remarkable legacy indeed. Yes! We Want To Be A Wenonah Family!